For years I spent my life trying to fit in. I acclimated myself to my surroundings, tried to assimilate to society, and followed the straight and narrow path in hopes I would be accepted by the people around me. If you’ve read Under30CEO for a while, you know by now, I put an end to that noise, and now take pride in doing my own thing. We’re cool with being different. … and I hope to inspire you to be too. 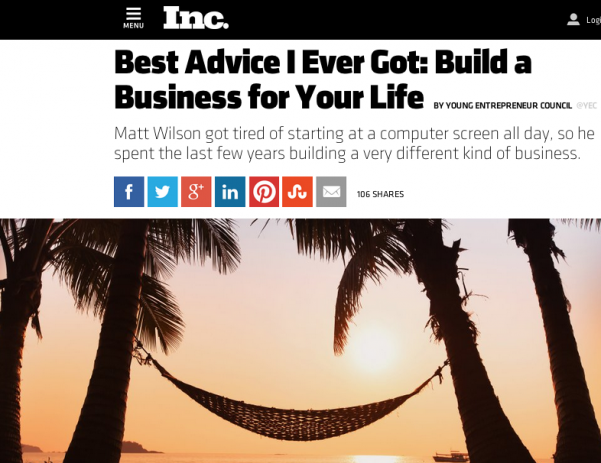 I wrote this article for Inc Magazine about the Best Advice I Ever Got. It’s some of my best stuff, and it was a team effort thanks to our Editor Cara Murphy, in conjunction with the Young Entrepreneurs Council and editors at Inc Magazine. Check out the article and don’t forget to keep exploring whatever it is that makes you tick. 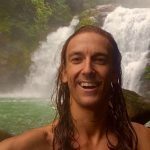 Matt Wilson is Co-founder of Under30CEO and Adventurer in Residence at the travel company Under30Experiences.